Several companies controlled by an alleged fraudster run out of western New York, promised merchants they could settle MCA agreements and alternative business loans for cheap. Sergiy Bezrukov AKA John Butler AKA Thomas Paris AKA Christopher Riley was arrested last week after being charged with mail fraud. 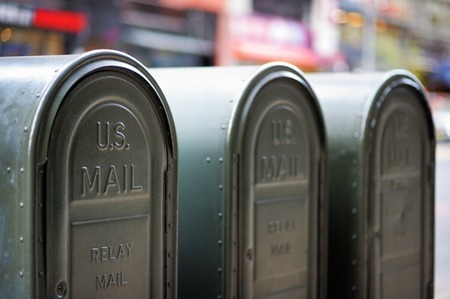 A joint investigation between the Department of Homeland Security, the IRS and the US Postal Inspection Service concluded that he scammed more than 100 victims and caused damages in excess of over $500,000. “The victims and losses are the direct result of Bezrukov’s scheme involving the mailing of thousands of fraudulent solicitations to vulnerable small business owners, luring them into paying him for a service he never intended to provide, and resulting in hundreds of defaulted loans, worth hundreds of thousands of dollars,” an affidavit signed by Postal Inspector Clinton E. Homer states. $400,000 in hidden cash was seized by investigators and the government believes there may be more cash stashed elsewhere to stage a getaway. The prosecution argued he was a great flight risk after it was discovered Bezrukov has dual Ukranian citizenship and that an identical copy of his US passport exists which he claims is missing and cannot forfeit. That combined with his propensity to use fake aliases resulted in his bail being denied and his being detained pending trial. While the affidavit submitted along with the criminal complaint spells out how small businesses were induced into being defrauded, not mentioned is what deBanked believes Bezrukov did next once he received payment. Last year, dozens of identical lawsuits were filed in New York against MCA companies and business lenders for a litany of outrageous claims, while suspiciously being filed pro se, meaning the plaintiffs had no attorneys representing them. Those lawsuits are related to Bezrukov’s scheme, and were possibly even filed by Bezrukov himself even though he is not an attorney and cannot practice law. A plaintiff in one lawsuit against an MCA company later recanted his claims and detailed his experience with Bezrukov in an affidavit filed earlier this year in May. “Unbeknownst to me, and without my permission, [Thomas] Paris and [Emily] Goldstein filed a pro se lawsuit in my name,” the plaintiff asserted. After the plaintiff found out what was going on, he said he then went to local enforcement and the FBI. Dozens of similar lawsuits continued to pop up this year with a similar modus operandi. Several are still pending, though Bezrukov’s arrest and detainment will likely have a material impact on their proceedings. Bezrukov is currently only being charged with mail fraud. All of the suspicious lawsuits in which he may have posed as plaintiffs or illegally practiced law on their behalves was not mentioned by investigators. Records, surveillance and witness interviews confirmed that he paid to have 75,000 mailings sent out to advertise his service just between the first week of August and the first week of October 2016. Those services allegedly included an offer to reduce a small business owner’s short term debt by as much as 75% in just 6 to 12 hours. One small business owner said that after signing up, they were directed to send an initial $1,250 to Corporate Restructure, Inc. via wire transfer. It was suspicious bank activity like this that would ultimately play a role in the scheme unraveling. 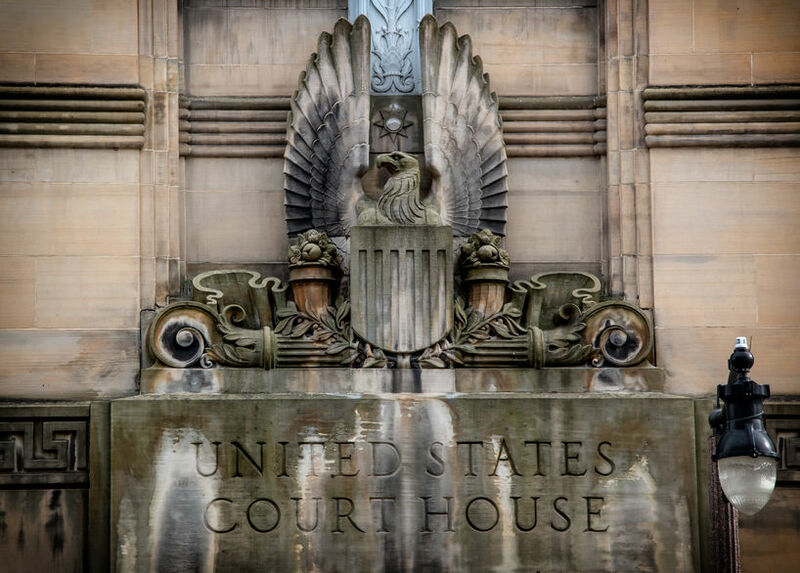 “The Postal Inspection Service received a referral from a fraud investigator for Citizens Banks related to multiple accounts with suspicious activity,” Federal Agent Homer wrote in his affidavit. Bezrukov is alleged to have used over 30 different company names, numerous banks, post office boxes, UPS Store boxes, and employees in an effort to ensure the success of his scheme, and in an effort to hide his true identity and location of operations. 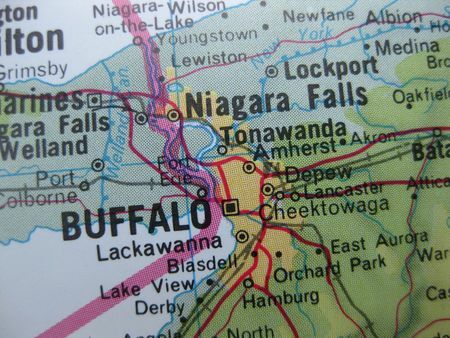 Most of the locations were in upstate New York, specifically in Salamanca, Jamestown, Irving, West Seneca, Cheektowaga, Buffalo and Sanborn. Two other individuals were also charged in connection with the activity, Mark Farnham of Buffalo and Dustin Walker of Salamanca. Farnham is referred to as the Vice President of Bezrukov’s company, Corporate Restructure, Inc., while Walker was the Chief of Security. They are alleged to have committed bank fraud. More than $125,000 was deposited in their accounts just between June 21st and August 12th of this year. Bezrukov himself was no stranger to alternative business finance. Numerous complaints online date back to his role in a company known as SBC Telecom Consulting, a purported business funding company that was also referenced in the affidavit attached to the criminal complaint against him. Even in that business, Bezrukov who went by alias John Butler at the time, was known for being outrageous. Last year, shortly before he ventured into the alleged debt settlement scheme, his company filed a $45 million lawsuit against a former sales rep for among other similar claims, allegedly violating a non-compete agreement. The Buffalo News reports that Bezrukov is being represented in his criminal case by Scott F. Riordan, who declined to comment on the allegations.